Back in 2017, there was talk that Samsung would include an in-display fingerprint scanner on the Galaxy Note 9. This never happened, reportedly because the technology wasn't yet ready for prime time; at that point, screen protectors were preventing the feature from working. This is a problem that Samsung apparently has not been able to fix. Still, XDA reports that code found in the Samsung Pay app reveals that at least one Galaxy S10 model will feature an in-display fingerprint scanner. We know that the more affordable Samsung Galaxy S10E won't have this feature; a leaked press image that we showed you yesterday showed off that model's side mounted fingerprint reader. The code found in Samsung Pay (check the images in the slideshow at the bottom of this article) directs the mobile payment app to look for an in-display fingerprint scanner so that it can adjust the UI to make more room for the user to touch the screen and verify a purchase. The code also specifically refers to the "Beyond in-display FP scanner." Beyond is Samsung's internal code name for the Galaxy S10 series. Unlike handsets like the OnePlus 6T that already offer an in-display fingerprint scanner, Samsung will reportedly turn to Qualcomm's cutting edge ultrasonic reader. According to Qualcomm, this method is more accurate and faster than the optical readers used on current models. The optical readers compare pictures of a fingerprint taken during setup, to the one being presented now. With Qualcomm's system, ultrasonic waves bounce off the fingertip allowing the phone to create a more precise 3D model that must be matched in order to verify an ID. Exactly one month from today, Samsung will hold its Unpacked 2019 event at which time it is expected to unveil the Samsung Galaxy S10 and Galaxy S10+. It isn't clear whether the 5G enabled version of the Galaxy S10 will be introduced at the same event. The Galaxy S10 Edge/lite model will have the finger print reader on the side of the phone. The rest will all have indisply readers. Edge? 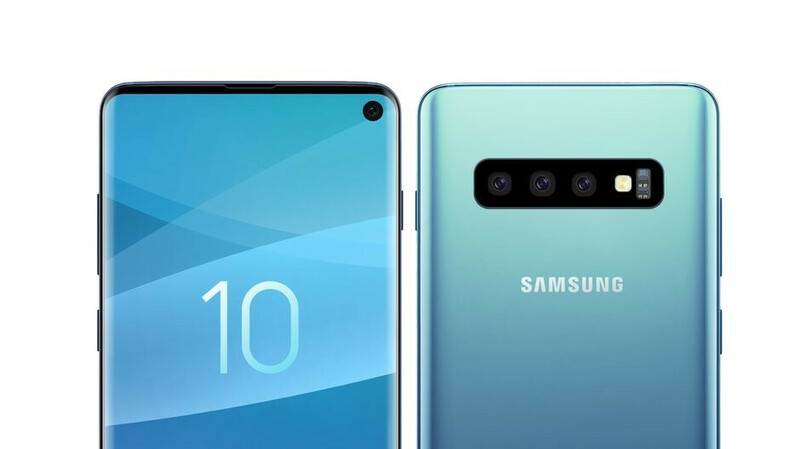 Lol what made you think the E stands for edge when the s10 E is the only s10 with a flat display. Anyway I wish oneplus would release 5.7-5.8 inch oneplus 7, not everyone wants a 6.4 inch phablet. https://www.phonearena.com/news/Samsung-Galaxy-S10-Edge-accessory-leak_id112138 Says here Edge branding to return.....What else would the E stand for? Why would a flat s10 be called s10 edge? That makes 0 sense. And that turned out to be false, the edge branding isn't returning. If you didn't realize, the one that won't have an fps under the display is the lite version thats supposed to compete with the iphone xr, it would be extremely retarded for Samsung to put an fps under the display in it، it would make it more expensive and its not worth it since its such a useless gimmick, an fps on the side of the phone is no worse and costs way less, if you have a problem with it then you should get the s10 or s10+ instead of the lite version.